We write to you on behalf of the Committee on Academic Freedom of the Middle East Studies Association of North America (MESA) to express our deep dismay at reports that at least two tenured faculty – and possibly more – of New York University (NYU) have been denied security clearance to teach at NYU Abu Dhabi. While we acknowledge the sovereign right of the United Arab Emirates to regulate entry and issue visas, we are profoundly concerned at the multiple cases in which students and academics have been denied access to the UAE in recent years. We hold such incidents to be inconsistent with the principles of academic integrity that underpin the higher education initiatives that the UAE has so publicly supported, both within the country and overseas. MESA was founded in 1966 to support scholarship and teaching on the Middle East and North Africa. The preeminent organization in the field, the Association publishes the International Journal of Middle East Studies and has nearly 3000 members worldwide. MESA is committed to ensuring academic freedom and freedom of expression, both within the region and in connection with the study of the region in North America and elsewhere. In two documented cases, tenured faculty members at NYU have been denied the security clearance necessary to secure a visa to teach at NYU Abu Dhabi. Mohamad Bazzi, an Associate Professor of Journalism, and Arang Keshavarzian, an Associate Professor of Middle Eastern Studies, had been invited to teach at NYU Abu Dhabi during the current academic year. In both cases, their visas were denied for reasons unknown. A third tenured member of the NYU faculty, Professor Andrew Ross, was prevented from boarding a flight from New York to Abu Dhabi in March 2015 after his passport was flagged by UAE state security. These are apparently not isolated incidents: NYU records indicate that at least ten of their faculty members have been denied entry to the UAE along with a larger number of students, staff, and academic support personnel. We are further aware of at least two instances where the UAE appears to have placed scholars – Kristina Bogos, at the time a graduate student at Georgetown University’s School of Foreign Service, and Kristian Coates Ulrichsen, a research fellow at Rice University – on a GCC-wide blacklist, hindering severely their ability to travel to the region and conduct research. There are strong grounds for believing that all these scholars were placed on the security list either due to discrimination against their religious affiliations or because their work was deemed critical of the UAE. Either way, these incidents make a mockery of the commitment to the principle of academic freedom and the unrestricted ability to teach and conduct research at NYU Abu Dhabi and other institutes of higher education in the UAE. 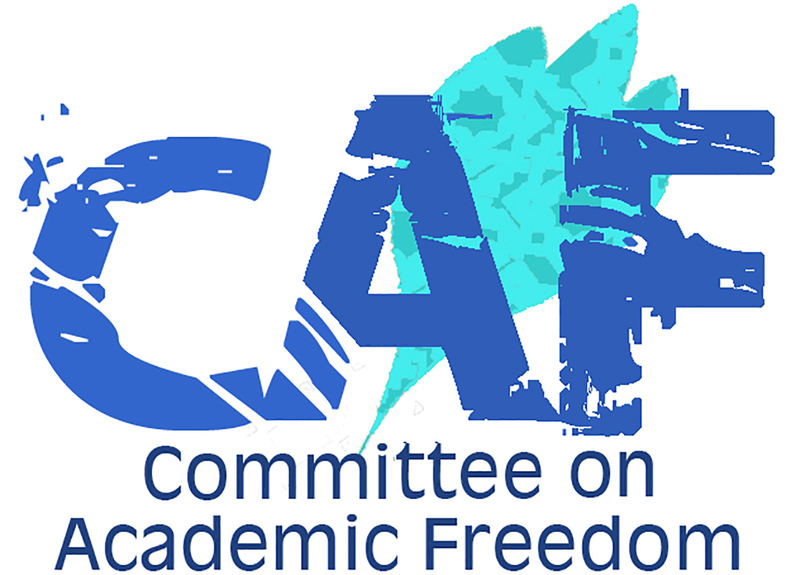 Moreover, the inclusion of scholars on a GCC-wide blacklist represents an unacceptable use of a mechanism established in 2015 with the stated objective of unifying anti-terrorism policies and is likely to have a chilling effect on faculty and students who work on Gulf issues yet wish to retain access to the region. It is our view that the unlawful detention of Dr. bin Ghaith and many others – including the internationally-acclaimed human rights defender Ahmed Mansoor, about whom we have also written to you – is part of a broader campaign to close down spaces for freedom of speech and thought in the UAE and persecute those who hold dissenting views of government policy. Reports from universities in the UAE indicate that ever greater restrictions are being placed on issues that can be discussed, whether within the classroom or at academic events. We find these reports troubling as the UAE has invested heavily in higher education, both domestically and internationally, over the past decade, and has supported academic programs and institutions worldwide. While these initiatives have been central to the UAE’s efforts to brand itself as a regional innovation and knowledge hub, we are troubled by the lack of commitment to the values that underpin such endeavors. Your Excellencies, we call on the UAE Government to respect and uphold the principles of academic freedom and free speech, and to end the practice of targeting academics and others on the basis of their religious affiliation or on the grounds that they question or criticize aspects of UAE policy. We urge the UAE to grant the security clearance necessary to issue entry visas to Professor Bazzi and Professor Keshavarzian and to uphold the commitment to academic freedom made when NYU Abu Dhabi was launched. We repeat our call for the UAE to overturn the conviction of Nasser bin Ghaith and end the unlawful detention of Ahmed Mansoor. Finally, we demand that UAE authorities provide greater transparency on the use or misuse of security blacklists and acknowledge that it is not acceptable to equate academic inquiry with acts of terrorism.